Photos: On roadside wall. Corran, the Burren, Ireland. 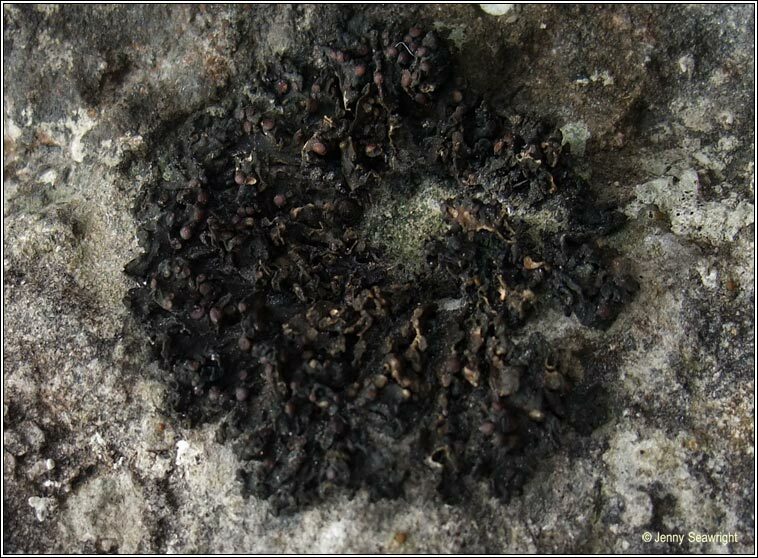 'Cushion like' thallus of numerous thick, +/- contorted, +/- radiating lobes, usually acending at centre. 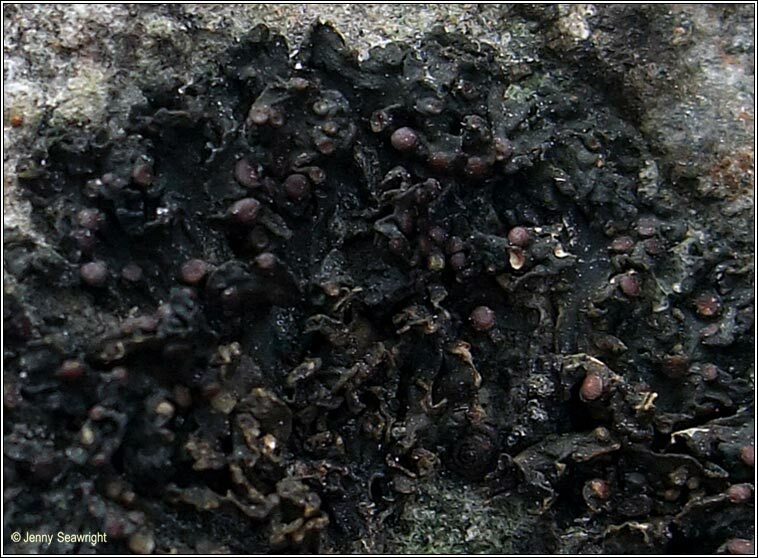 Numerous terminal apothecia, isidia are absent. 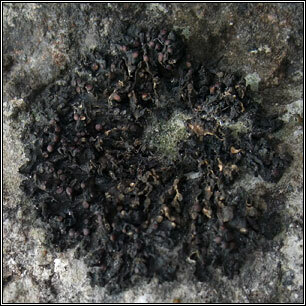 Occurs on exposed, hard, moist limestone and is often found with Collema multipartum. Most frequent in the Burren and west and central Ireland.